James Milliken was named sole finalist for the position of chancellor of the University of Texas System. 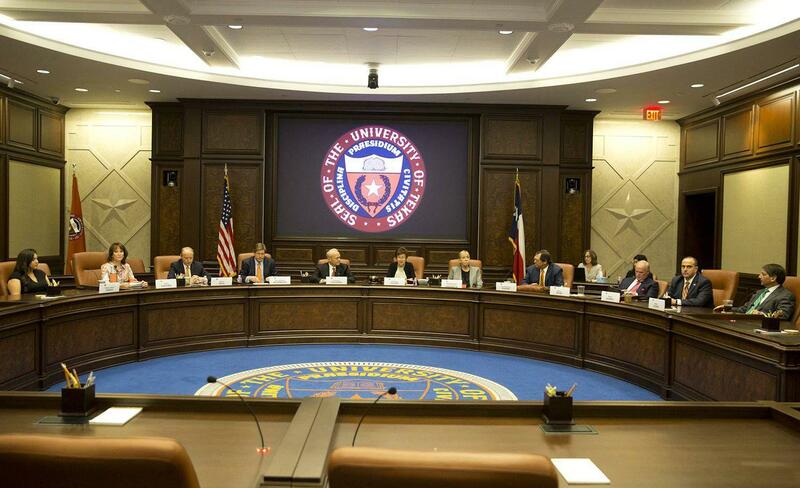 The University of Texas System board of regents at a special meeting on Aug. 4 named James Milliken as the sole finalist for chancellor. The University of Texas System's governing board has tapped the former chancellor of the City University of New York as its next leader, unanimously naming 61-year-old James Milliken the sole finalist for the position of chancellor Saturday. Once confirmed, Milliken will take the reins of the state's most prominent public university system, which serves more than 235,000 students across its eight academic colleges and six health institutions. The system's regents will need to officially appoint Milliken at a later meeting, after a state-mandated 21-day waiting period. Regent James "Rad" Weaver was not present for Saturday's vote. Larry Faulkner, who has led the System on an interim basis since former chancellor Admiral Bill McRaven stepped down in May, is expected to keep his position until Milliken's appointment is finalized and he can begin the job. Before joining CUNY, Milliken spent a decade as president of the University of Nebraska and six years as a senior administrator in the University of North Carolina system. With a lengthy background in higher education administration, Milliken has "effectively guided university systems that have many of the characteristics and strategic aspirations" of UT's institutions, said Sara Martinez Tucker, chairman of the board of regents. "He has enjoyed strong support from elected officials, students and campus leaders in his previous posts, all of whom described him as someone they could count on in times of great opportunity and challenges," Tucker said in a statement. Milliken announced last year that he would resign from CUNY, where he’d served as chancellor since 2014 — explaining in a letter at the time that he’d been diagnosed with throat cancer and was facing “additional health challenges” following treatment. Randa Safady, a spokesperson for the UT system, said Saturday that Milliken had been given a “clean bill of health” and had no major medical concerns. She said “a few” candidates were interviewed for the chancellor position Saturday, including Milliken, who was not present for the afternoon vote. 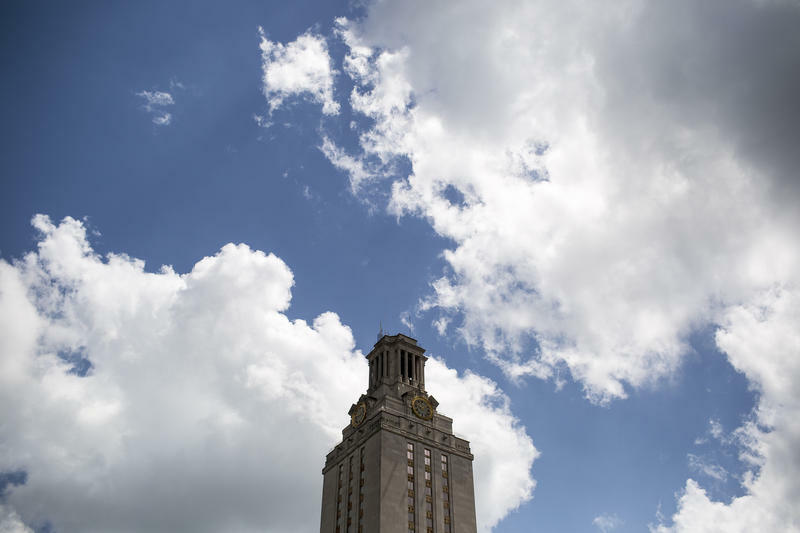 The chancellor of the UT System serves as its chief executive officer, reporting to a nine-member governing board, and overseeing an annual operating budget that tops $18 billion. Board members, who named Milliken Saturday after a closed-door meeting that lasted five hours, are simultaneously in the process of reviewing the system's administrative offices, and some regents have called for system-level initiatives to be curbed. Milliken's predecessor, McRaven, led the UT System for three and a half years, after spending 37 years in the military and gaining national prominence for his hand in orchestrating the raid that killed Osama bin Laden. McRaven announced his intention to step down last December, citing health reasons — he has non-life-threatening chronic lymphocytic leukemia — and a desire to pursue other interests, like teaching and writing. In an interview in May, he told The Texas Tribune he’d likely teach a seminar in the area of national security at the University of Texas at Austin’s Lyndon B. Johnson School of Public Affairs starting next spring. The months-long search for a new chancellor was overseen by a task force of five current and former regents, with the help of executive recruiting firm Russell Reynolds Associates. Energy executive Jim Hackett, former U.S. Secretary of State and ExxonMobil CEO Rex Tillerson, and former U.S. Secretary of Education Margaret Spellings were thought to be candidates during the search process, but UT officials dismissed the names as speculative. By tapping Milliken, regents have selected a Texas outsider with extensive experience in higher education administration. While at CUNY, the country’s largest urban and public university system, Milliken helped boost the graduation rates of its community college students, but also faced questions about fiscal mismanagement. Ahead of Milliken's appointment, several staff changes were announced at the UT System, including the planned retirements of Executive Director Jana Pankratz and Deputy Chancellor David Daniel. Vice Chancellor Barry McBee, who heads the office of governmental relations, is slated to transition to a chief of staff-type position in the chancellor's office, starting Sept. 1. Disclosure: Margaret Spellings, The University of Texas System, the University of Texas at Austin and ExxonMobil have been financial supporters of The Texas Tribune, a nonprofit, nonpartisan news organization that is funded in part by donations from members, foundations and corporate sponsors. Financial supporters play no role in the Tribune's journalism. Find a complete list of them here. At first glance, Mu Delta Alpha might seem like any Greek organization on UT-Austin’s campus. It has letters, colors – teal, white and peach – and had rush week last month. While that may be pretty typical for a sorority, Mu Delta Alpha is different. 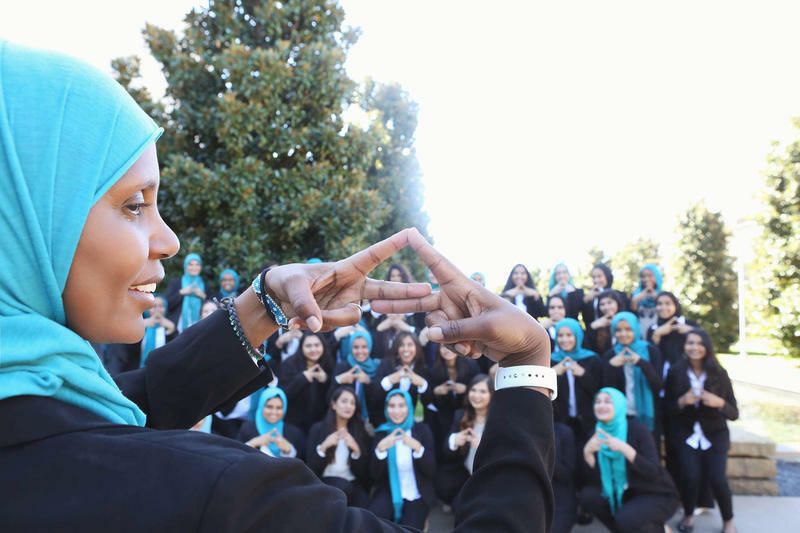 It’s the first Muslim sorority on the University of Texas campus. 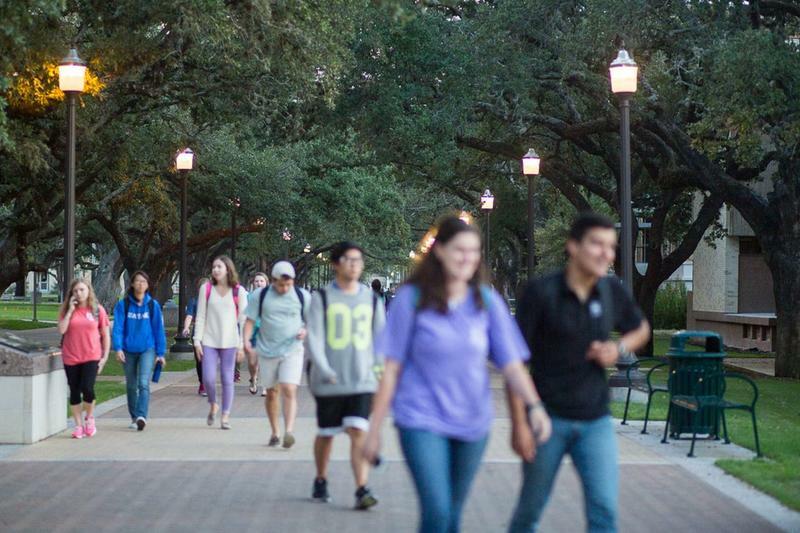 Rice University in Houston is by far the best college in Texas — and the 14th-best school in the nation — according to U.S. News and World Reports' latest college rankings. 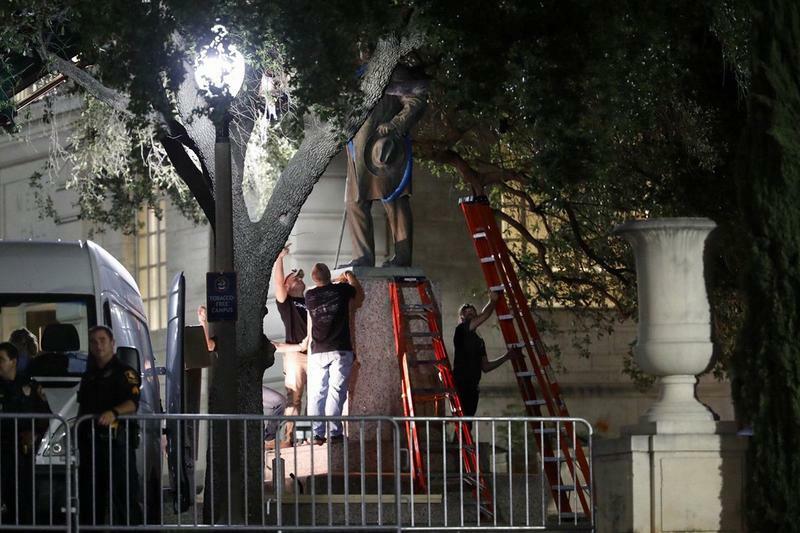 A Confederate heritage group sued the University of Texas at Austin on Thursday for removing several Confederate statues from its campus earlier this week.